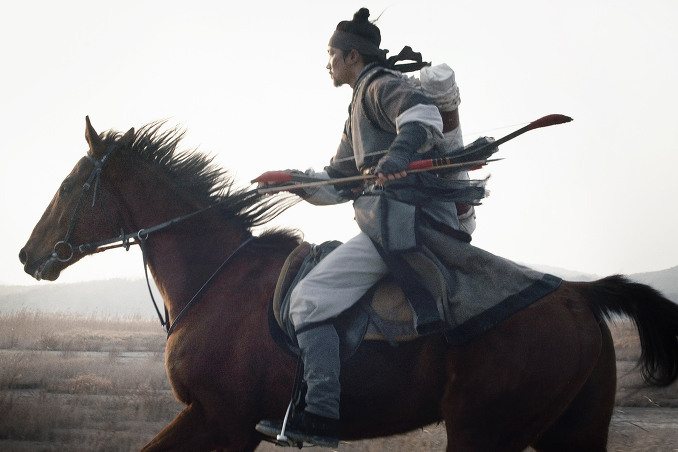 Set during the second Manchu invasion of Korea, Nam-Yi (Park Hae-Il), the best archer in Korea, goes up against the Qing Dynasty to save his younger sister Ja-In (Moon Chae-Won) - who was dragged away by Mongolian invaders. 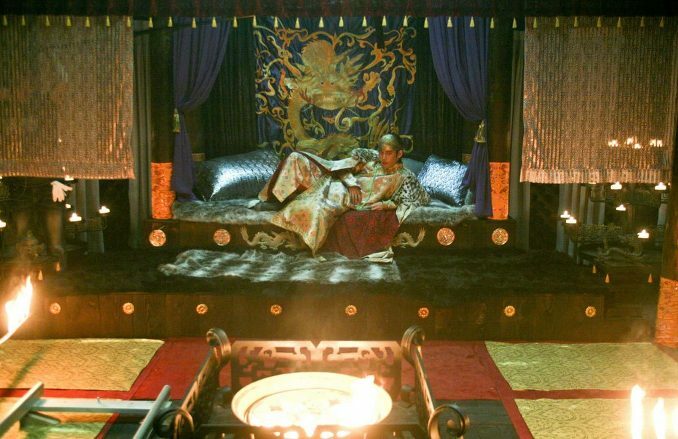 Nam-Yi's father was killed as a traitor to his country. 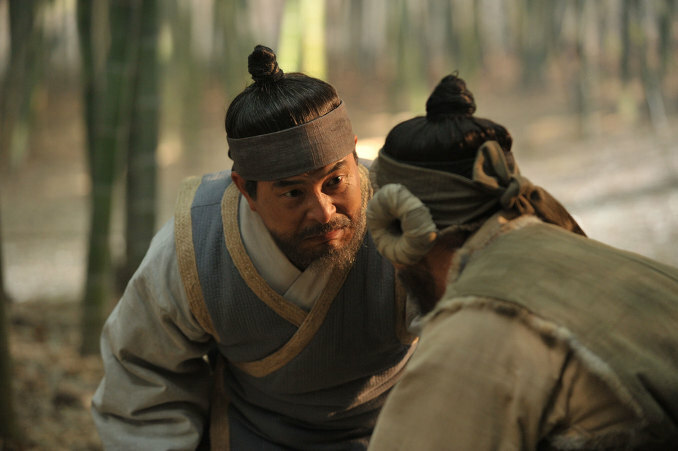 Kim Moo-Sun, a friend of Nam-Yi's father, takes Nam-Yi and Ja-In and raises them as they were his own children. 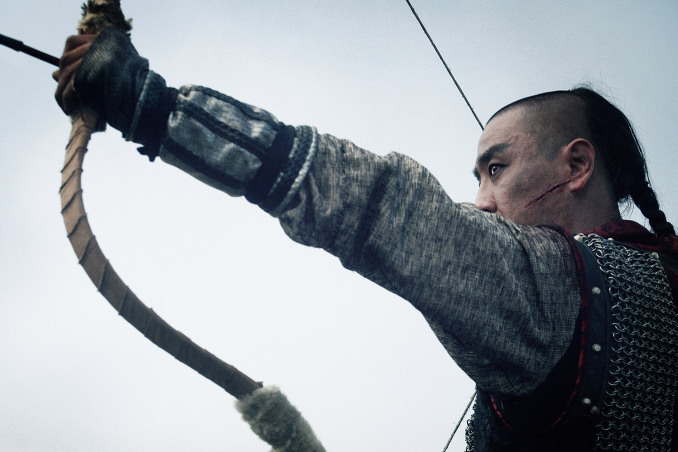 As a son of a traitor, Nam-Yi's future is limited. 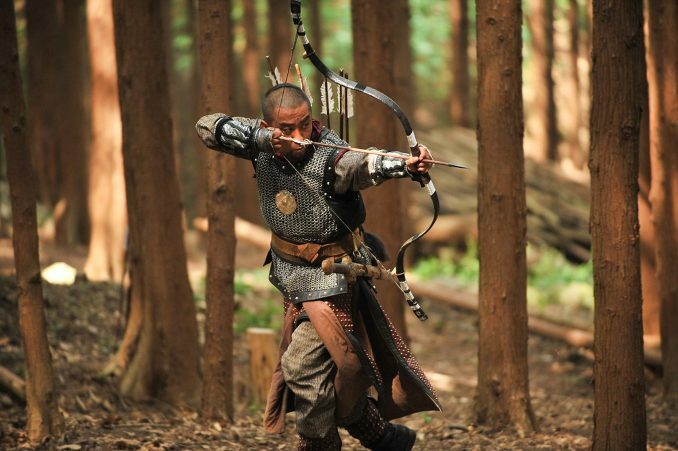 He spends his time hunting with the arrow and eventually becomes a master archer. Meanwhile, Nam-Yi hopes his younger sister Ja-In can find happiness. Finally, Ja-In is set to marry Seo-Goon (Kim Moo-Yul) after going through many difficulties. On the day of their wedding, invading Qing forces enter the village. The invading force slaughters many of the residents while taking others back as captives. 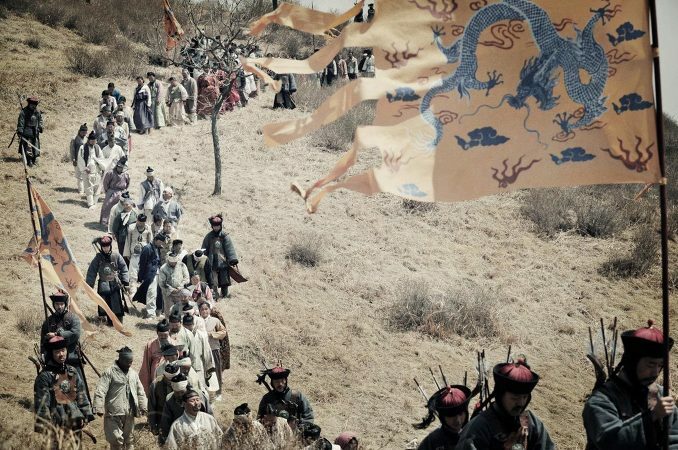 Ja-In and Seo-Goon are among the hostages. 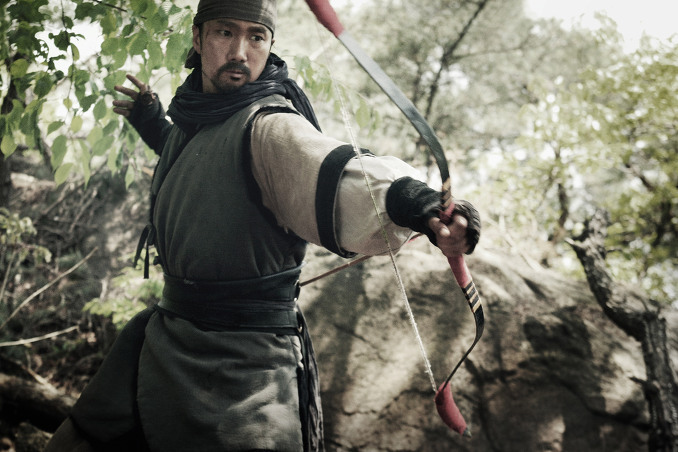 On September 4, 2011, "War of the Arrows," passed 5 million tickets sold in South Korea. As of the Sept. 5, 2011, "Arrow, The Ultimate Weapon," ranks #3 for the year in ticket sales behind #1 "Transformers 3" and #2 "Sunny." 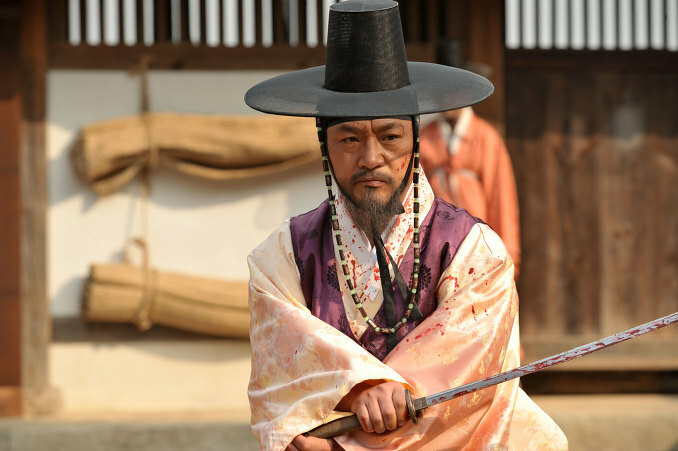 Detailed box office numbers listed at South Korea Weekly Box Office. 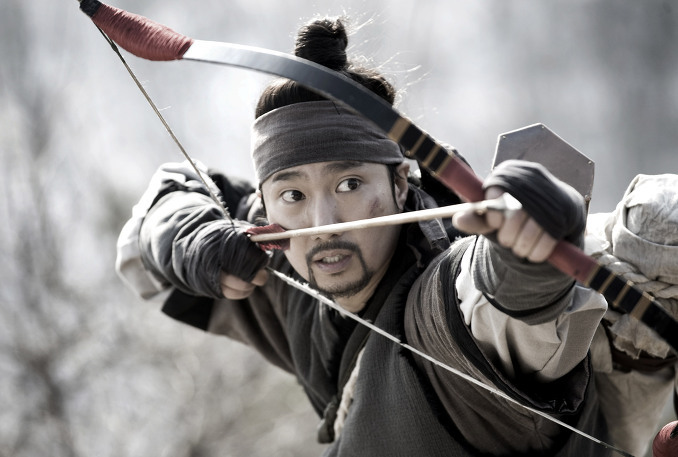 On Sunday September 26, 2011, "War of the Arrows" passed 7 million tickets sold in South Korea, becoming only the third film to accomplish the feat in 2011. Haydee May 16 2016 11:44 am One of the best historical movie I've seen so far. Hope they will make a series. Moon Chae Woon did her part very well even if it's a short one. tp Apr 23 2016 3:42 pm This is the 5th time watching this movie, but not even a dull moment in it. Such an outstanding movie. Love it, love it, love it! Aya_ Feb 24 2016 2:50 pm I was very well surprised by this movie, interesting plot and lots of actions. Never seen the main lead actor but he was so good and the beautiful Moon Chae-Won, I just love her, definitely worth watching! 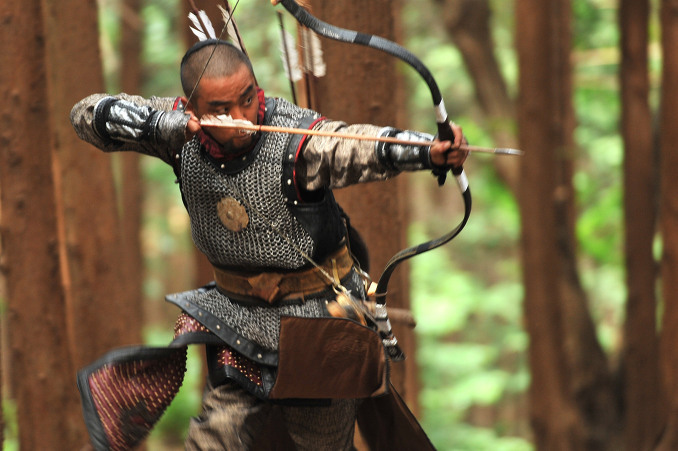 bob gereck Jun 20 2015 8:28 pm absolutely the best archery movie would love to see more like it excellent acting and visuals.It is a far better movie than the recent robin hood with Russell Crowe. eldo Apr 17 2015 8:30 am A great movie.. from the beginnig to that end.. i love everything about this movie. The makers did a great job, a very accurate thinking. the male lead, i love his character. What a smart smart smart and again smart guy. The manchurias may big and strong, and won in numbers, but gosh our guy is smarter. I really love a man who is reliable but also calm. Hwa Mar 18 2014 1:34 pm This movie was incredibly awesome!!!! Loved it from beginning to end! I only find it a bit similar to the movie called "Apocalypto"
Moonlight Oct 09 2013 11:31 pm @TOK You are totally a MORON..who are to say sorry to those actresses who didn't get awards.Are you a expert in judging actresses and actors acting?It seems that you are telling that Moon Chae Won did not deserved to get these awards.I want you to know that actresses and actors acting or performance is not being evaluated based on how long they appear in a movie,you know what I mean?They are being evaluated how well they act and perfectly portrayed their characters. 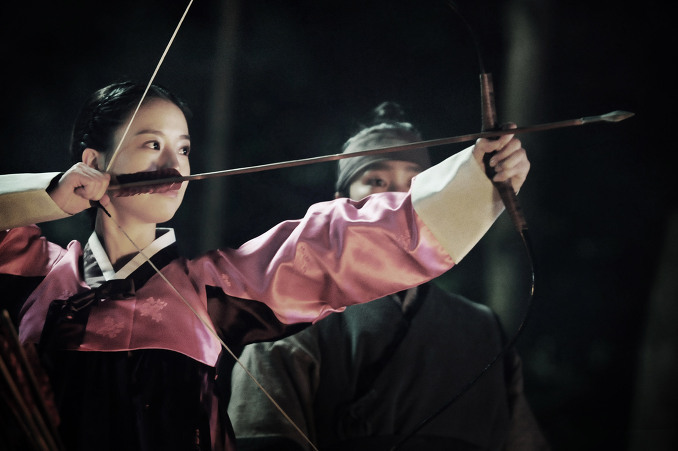 Many experts were evaluated her performance and she will not received such many awards if she did not deserved it,as if your telling that those film festivals were wrong in giving Moon Chae Won those awards.If that is your basis in telling who is the best actress and actor then everyone can become one.I mean,tough if I don't know how to act but if I appeared in a movie much longer than those actresses who are good in acting then I will be the best actress?If that is the case then the movie production should lengthen the time of the movies then the actors and actresses there would get the best actor and actress award.And by the way if you don't know i want to tell you that Moon Chae Won is known for great acting skills..And what do you mean that she great in "Cain and Abel though"?I think you were referring to a different actress. Skye Oct 23 2012 11:44 pm Hey, though Moon Chae Won didn't appear long in this movie doesn't mean that she's doesn't deserve such awards. Though her appearance is just for short period, she exemplifies true meaning of "Best Actress" because of her demeanor in acting and her effectiveness as an actress not only to the viewers but also to the judges of the different Award nominations. Appeared for a short time and yet she won such awards only means that she is a great actress to be able to capture the peoples attention even for a short period of appearance in the movie and for the other Dramas she had. Luki Feb 19 2012 6:58 am The best movie ever! 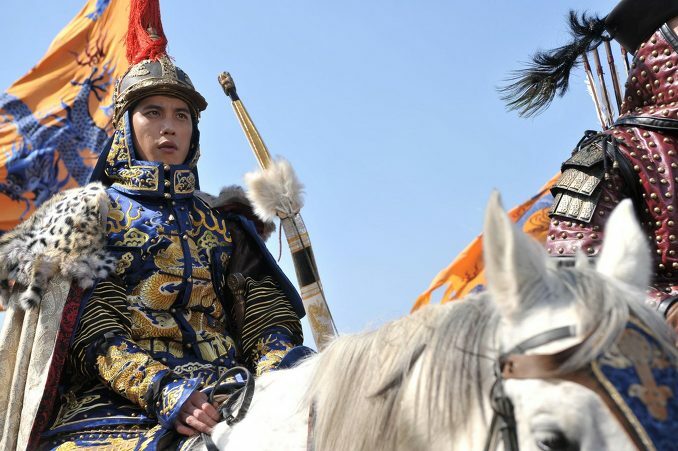 just can't get all of the actions out of my head.. especially love it when he tried to shoot the last 4 manchurians <3 btw, I've also watched it twice!! TOK Dec 16 2011 6:02 pm Movie is entertaining at full level but not considered as Masterpiece. There are many things unexplained and rushes too quickly from here to there. 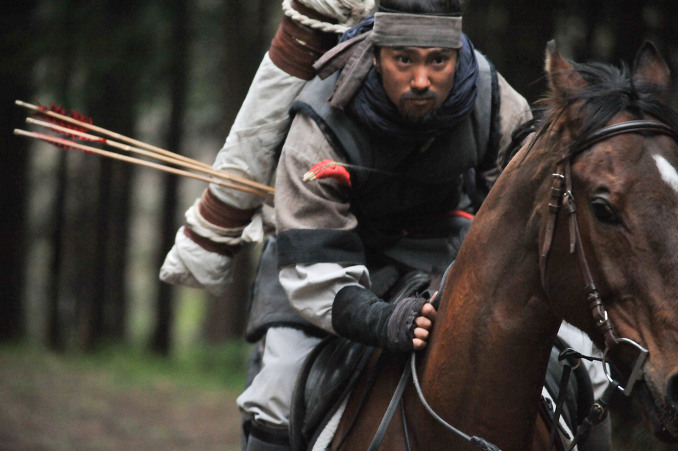 Acting is solid as usual by Park Hae II and Ryoo Seung Ryoong. I feel sorry for other actresses for this year that they didn't get awards when they took part in roles which were throught the whole film and had really good acting. maskedrider Dec 10 2011 1:56 am great review Ki. i watched it twice and will watch again. this is an awesome movie. the chase in the mountain made me think about the movie the Last Mohican. where the good guys chase after the bad guys as they take the girls up to the mountain. it is refreshing to see the other side of love between siblings that one would risk it all to save. 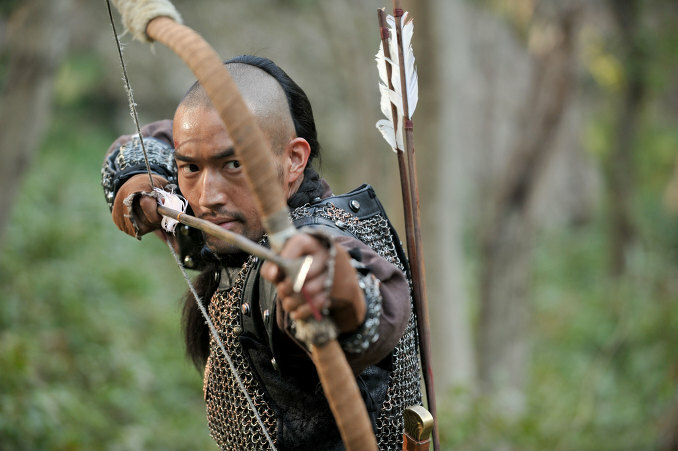 Ki Aug 16 2011 9:49 am Came away very impressed with "War of the Arrows" ... in fact the last (and only) time I ever enjoyed a period Korean action film as much was "Musa The Warrior". 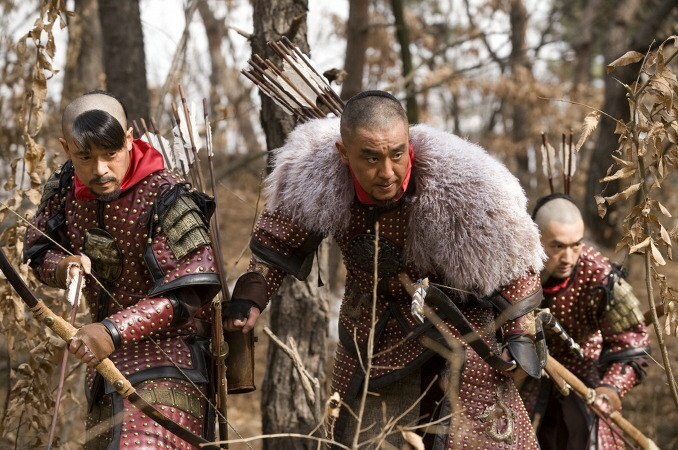 In comparison to other recent Korean period action films like "The Divine Weapon" or "Battlefield Heroes" well "War of the Arrows" just wipes them off the table. 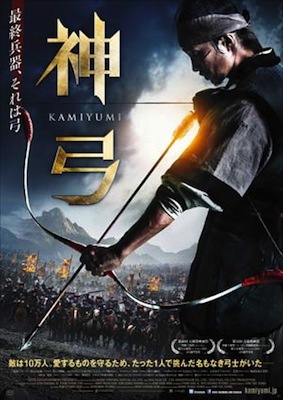 The storyline isn't very complicated - bad guys kidnap a woman, brother sets out to free her with elements of classic westerns and even films like "Rambo" sprinkled into a time frame when the bow & arrow reigned supreme. 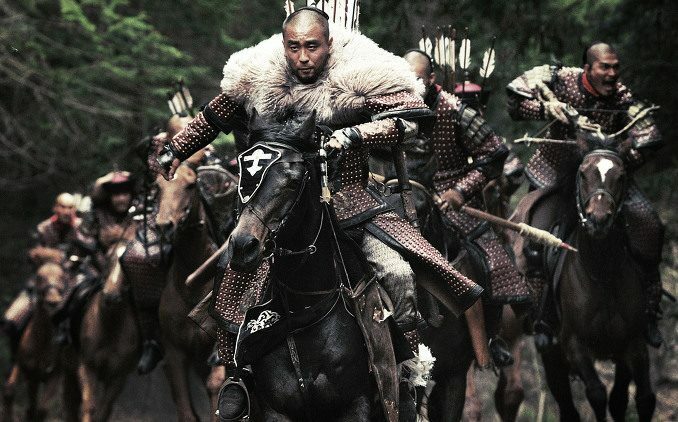 Park Hae-Il turns in his most memorable performance since "Memories of Murder" and there's others like Ryoo Seung-Ryong who just nails to perfection playing the evil, but somehow noble, villain warrior and Moon Chae-Won playing a heroine that is a lot more feisty then your typical Korean damsel in distress figures. She can shoot the arrow and shoot it very well. I liked it! 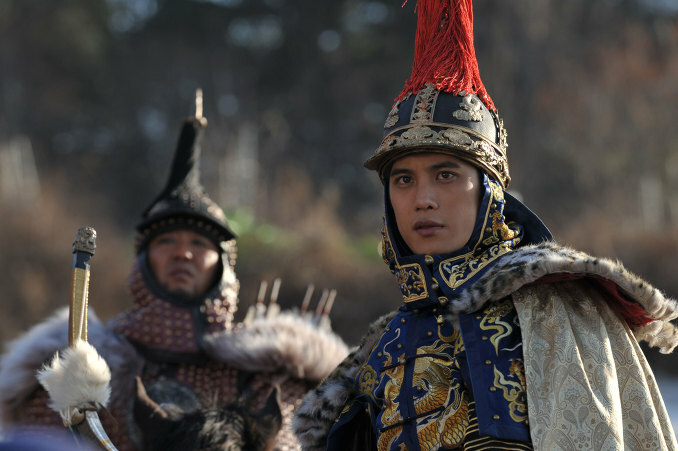 Also, haven't seen Park Gi-Woong in a film in a while and he also stood out playing the Prince of Quing.